The Warsash Band confirmed this week that its major concerts will continue to be held in the centre of Warsash for the foreseeable future. The band has been performing three or four concerts per year at the Victory Hall in Warsash for decades. However, the growing size and popularity of the band have recently become a problem, due to limits on the size of the stage and on audience numbers. After discussions with the Victory Hall, the community owned venue has now acquired some additional stage extensions, with the band contributing £350 towards the cost. These extensions are vital to allow the expanded band to continue performing at the hall, and it is hoped that other groups will also make good use of them. In addition, the hall reviewed its fire regulations and confirmed that it was able to allow more audience capacity in the main hall. The band trialled these changes at its recent Christmas Concert, while also surveying audience members to find out their views on a possible change of venue. Having reviewed the concert and the survey responses, the band is delighted to confirm that it plans to continue performing at the Victory Hall for the foreseeable future. 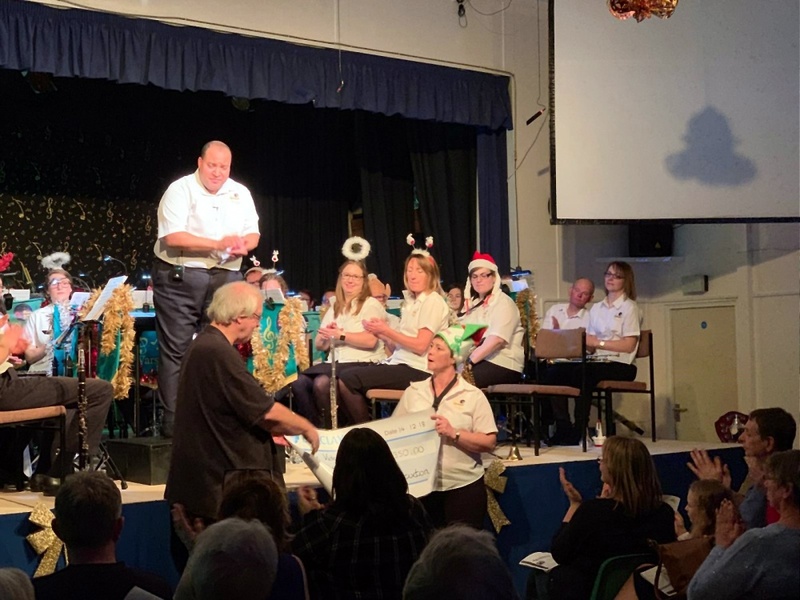 "We had a number of comments on our survey saying that as the Warsash Band, our main concert venue should continue to be in the centre of Warsash. This is a sentiment we fully share, as long as it is feasible to do so, but it was prudent to investigate other possibilities in case the Victory Hall was no longer suitable. Happily, the success of our Christmas Concert made it clear that the changes the hall's made will allow us to stay there and continue performing in the heart of the Warsash community." "The Victory Hall are pleased to be able to continue providing the concert venue for the Warsash Band. Following discussions with the Band the Hall reviewed and increased the maximum numbers for audience and performers and purchased additional staging which worked well at the Christmas Concerts. The Hall would like to thank the Band for their continued support and for their contribution towards the cost of the new staging. We look forward to many more Warsash Band Concerts at the Victory Hall."